So I thought I would share a little something from our class. We completed our first Interactive Notebook page for math!! I was really worried about the amount of cutting and pasting - but they did a fabulous job. This activity is part of a great INB unit I purchased on TPT. We have been working on list writing during writing workshop. 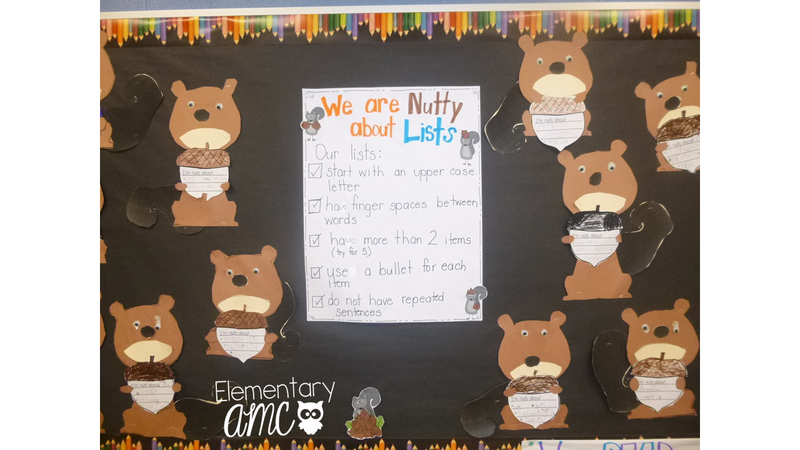 We made this adorable squirrels and created a list of things we are nuts about. 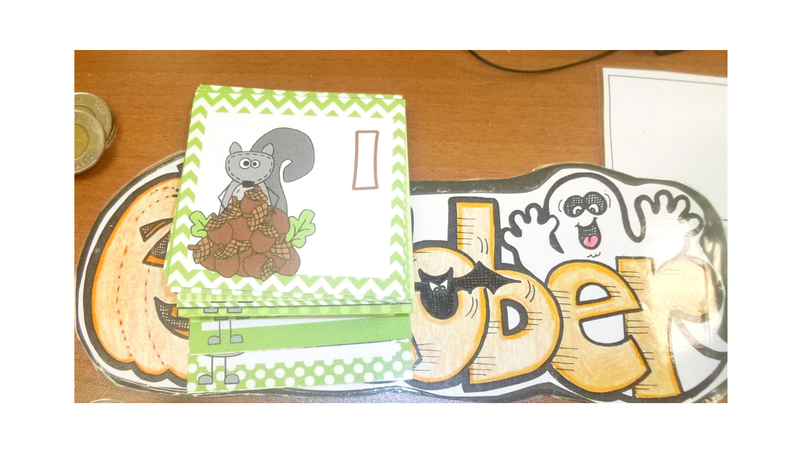 The squirrel template is part of this pack I purchased on TPT. This was also a great time to read Scaredy Squirrely - the king of crazy lists!! Tomorrow we are changing up our calendar cards - I am going to continue with the squirrel theme rather than something really Halloween-y! Hope to see you again this weekend - honestly! I am having the exact same problem with balancing life and remembering to take pictures of what's going on in my room. Glad to know I'm not alone!